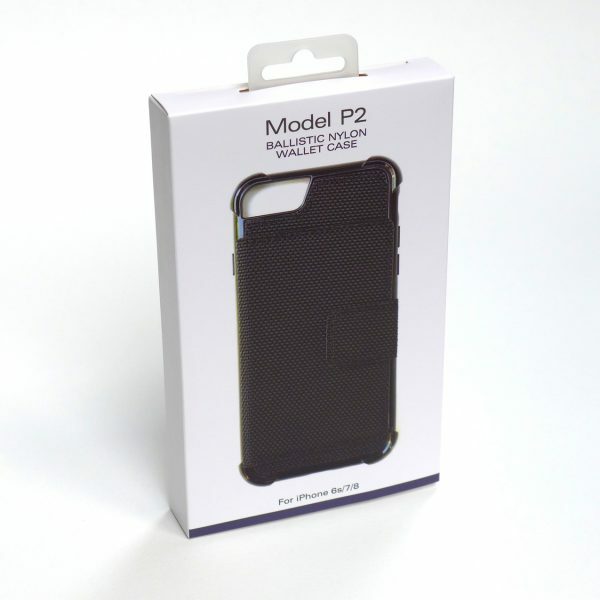 The Model P2 iPhone Wallet Case is slim, lightweight, rugged, stylish and made of ultra-durable, scratch resistant ballistic nylon material. 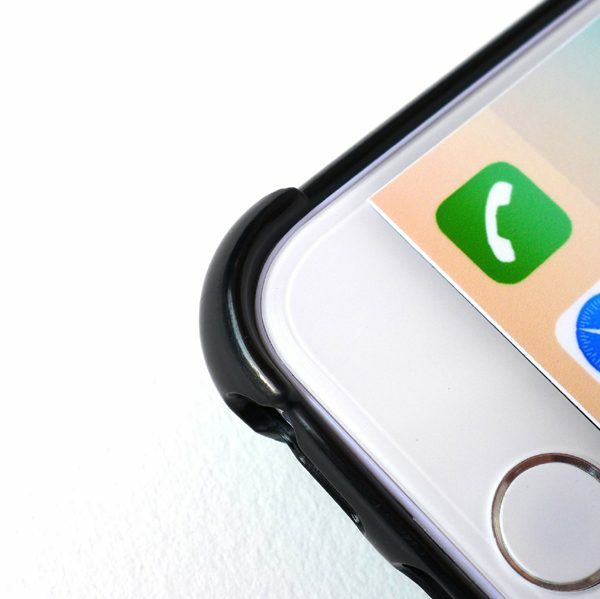 It’s compatible with the iPhone 7, 8, 6S and 6. 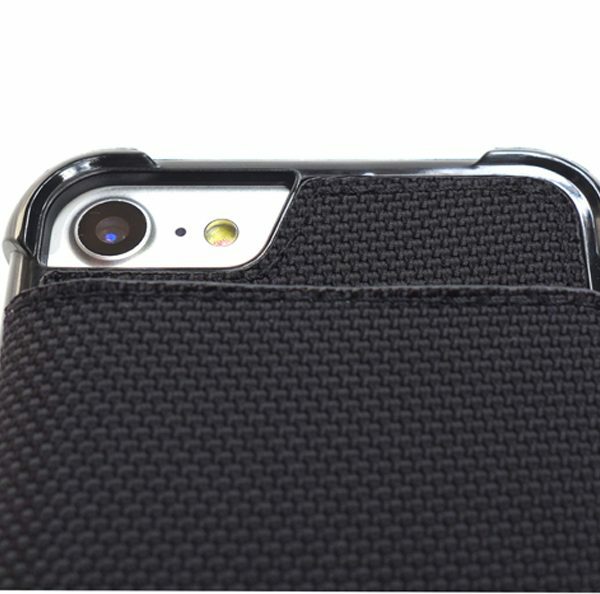 Two pockets hold credit cards, ID and bills/small notes (GREAT FOR THE APPLE CARD). 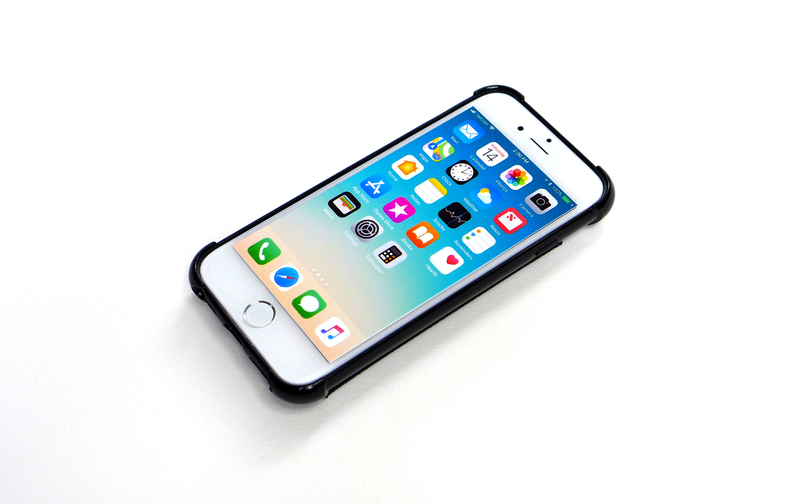 The iPhone is secured in the case by a shock/impact resistant shell that features reinforced corners and a high strength magnetic tab securely holds the front cover closed. FAST 2 – 4 DAY SHIPPING W/ TRACKING! 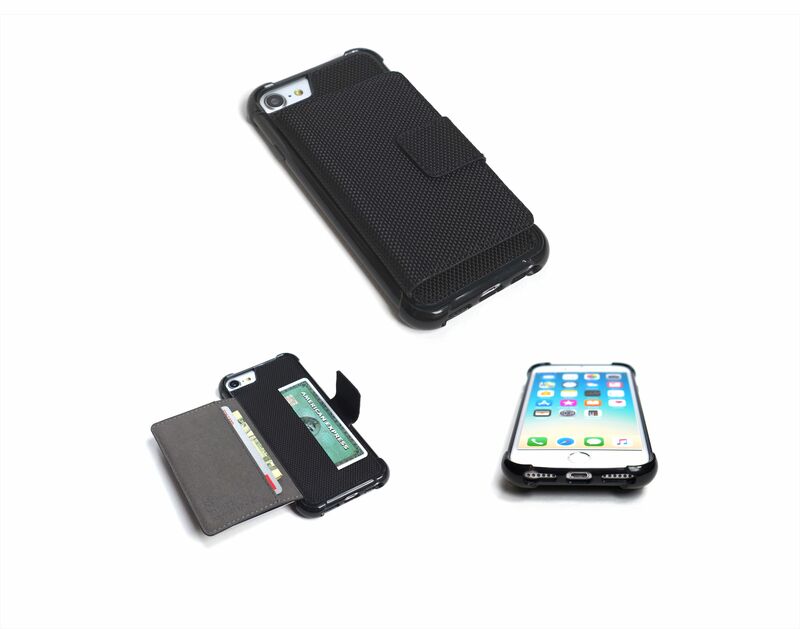 For bulk order discounts, expedited or international shipping, email us at: contact@innovativecareusa.com. To place an order from outside of the U.S., please contact us for details. 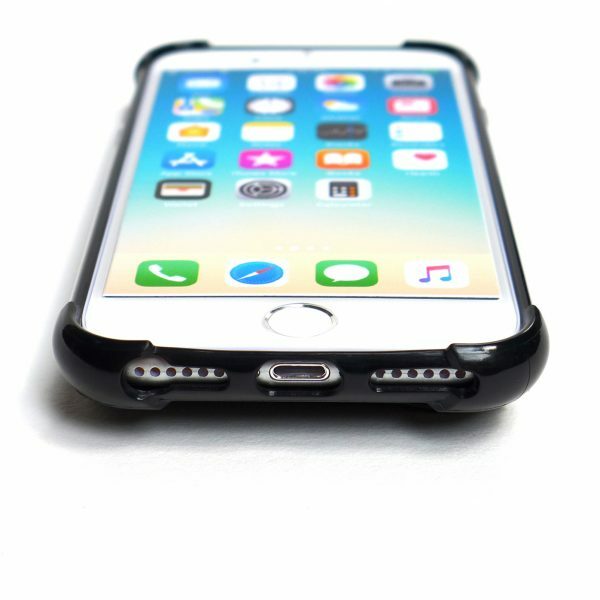 Compatible with iPhone 7, 8, 6S and 6. 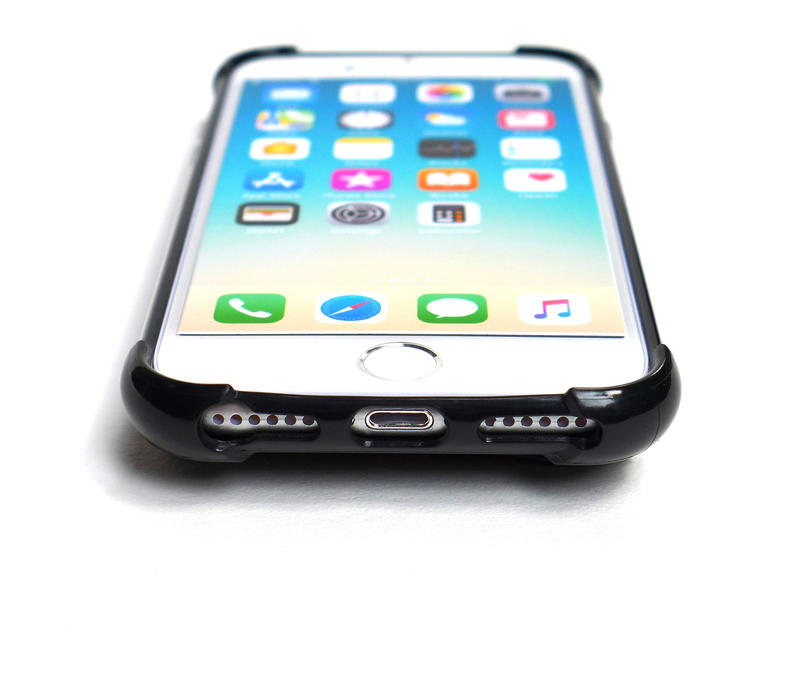 Rugged, slim, durable, lightweight & shock resistant construction. 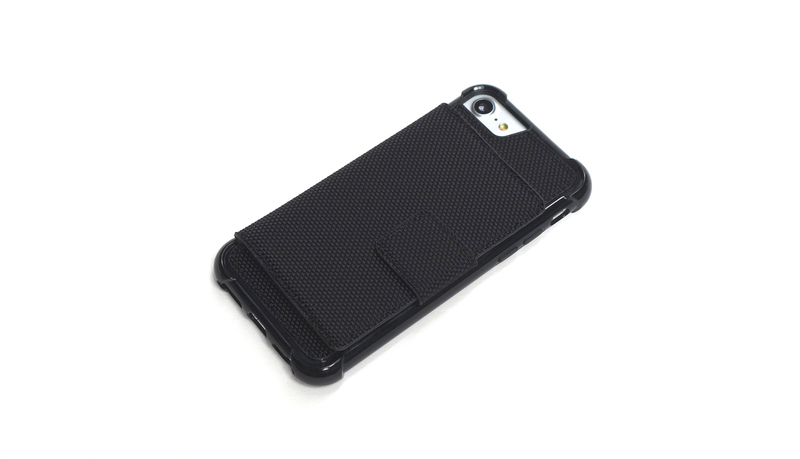 Made of scratch resistant, reinforced ballistic nylon material. Two pockets hold credit cards, ID and bills/small notes. 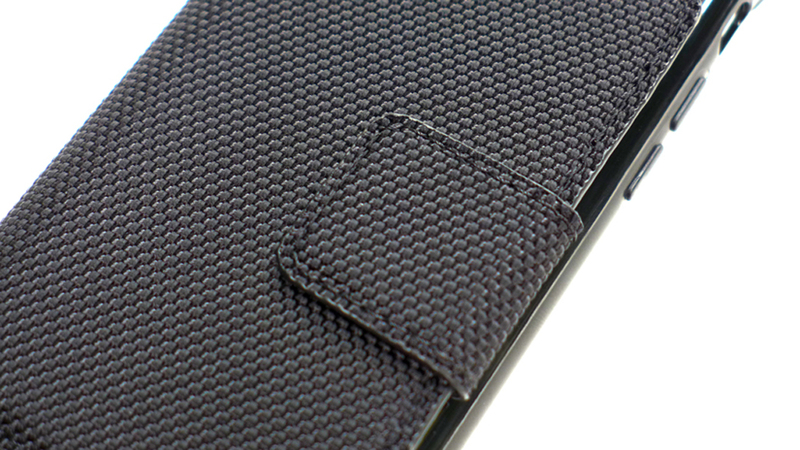 The flip cover conceals credit cards and currency for privacy. Soft & durable premium suede-like inside lining. SKU: MODEL P2. Category: Featured. 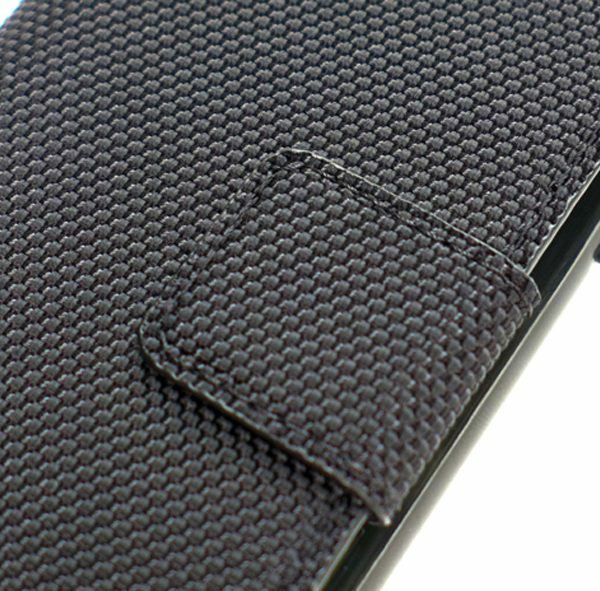 The Model P2 iPhone Wallet Case is slim, lightweight, rugged, stylish and made of ultra-durable, scratch resistant ballistic nylon material. 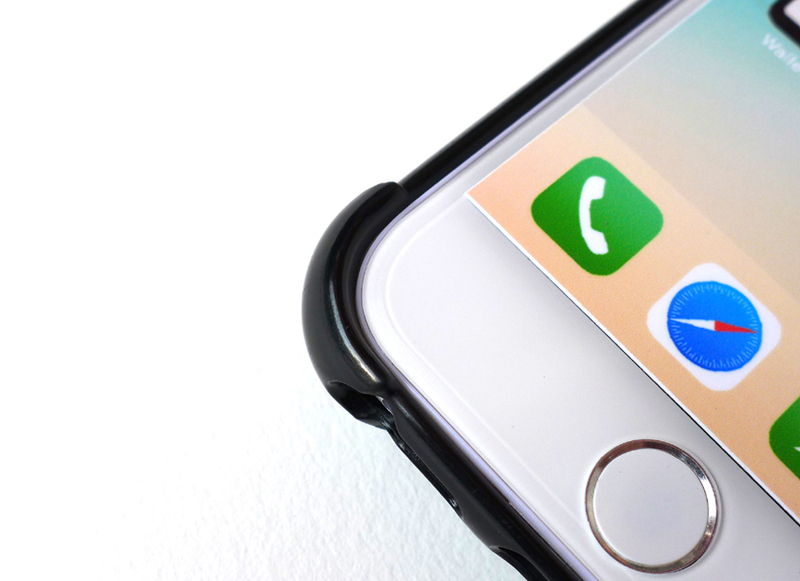 It’s compatible with the iPhone 7, 8, 6S and 6. 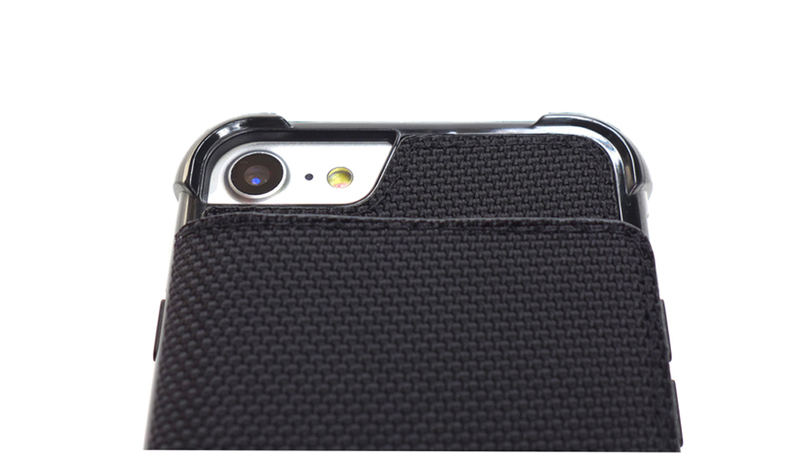 Two pockets hold credit cards, ID and bills/small notes (GREAT FOR THE APPLE CARD). 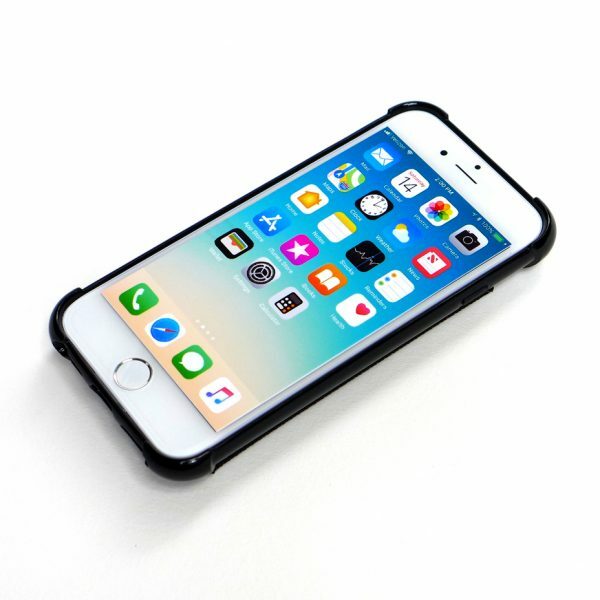 The iPhone is secured in the case by a shock/impact resistant shell that features reinforced corners and a high strength magnetic tab securely holds the front cover closed. 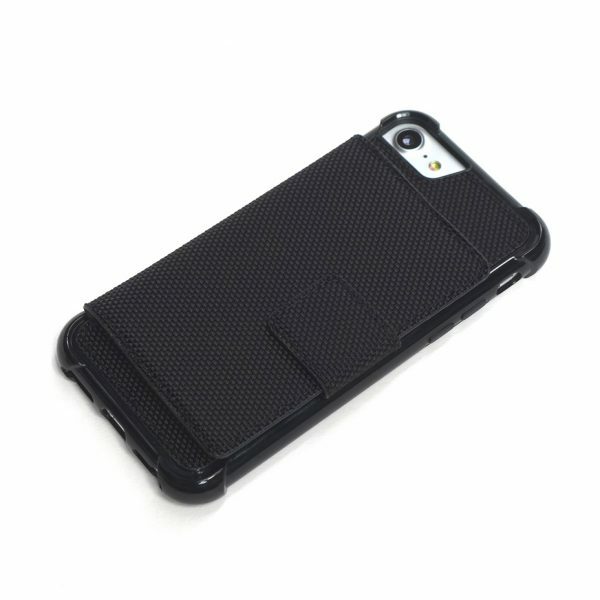 OTHER FEATURES: -Soft & durable premium suede-like inside pocket lining. -Cut-outs for camera lens & flash, dual speakers and bottom port. 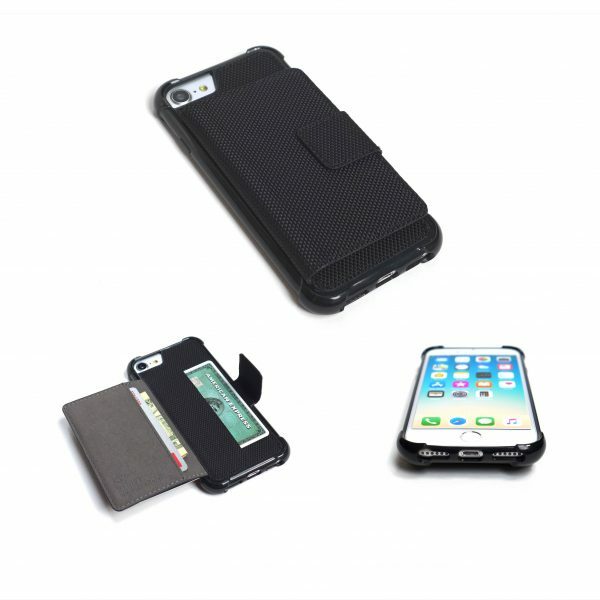 -Suitable for carrying a key-card and phone together in a slim case. Note: The iPhone, card and currency shown in the product photographs are not included with the case. Black with gray/black inside lining. $29.99 + shipping & handling.